When you start selling on Amazon (or any online marketplace), your first concern will probably be to make sales. It’s natural to prioritize that since sales are the only way you’ll make any money from your Amazon or your E-commerce business. You will then get to a certain point where the focus is geared towards maximizing efficiency in your business operations – in order to scale your business. You may soon realize that creating systems are the key to increasing efficiency and scaling your business. One such operation is a foundation for any E-commerce or Amazon business operations – and that is Shipping! Once you start receiving consistent orders, you need to figure out how you’re going to fulfill them as quickly and conveniently as possible. 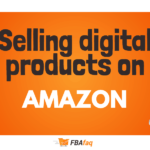 One good way to do this, if you are an Amazon seller, is to use Fulfillment by Amazon (FBA). You can let Amazon focus on the shipping, customer service and returns, while you focus on acquiring more inventory to sell. However, if you plan to ship your orders on your own, then your best bet is with a third-party postage service/ software. A shipping software like stamps.com or Endicia is an absolute must for Amazon merchant fulfilled orders (where you, the seller are shipping the orders) or any other eCommerce store that ships orders in-house. These shipping software solutions will allow you to speed up your shipping workflows to allow more time for other areas of your business. Shipping orders are one of those tasks that is absolutely critical, but one you want to likely don’t want to invest much time on. If your shipping systems are lacking then it can create a lot of issues with your eCommerce or Amazon business. For one, customers may not receive their shipment in time and this can result in negative feedback or a negative experience. Another issue that could arise from a bad shipping workflow is low-quality Packaging that could lead to damage of the products en route. While Endicia and stamps.com may not affect the way pack your goods, it does help to streamline the whole shipping process. One reason why a shipping software can help is it allows you to do batch shipments. There’s nothing worse than shipping each individual order out manually. The less time you spend handling shipping, the more time you have to put towards growing your business – i.e sourcing more inventory, seeking new opportunities, managing finances, etc. It doesn’t make much sense to manually enter order confirmation numbers and customer information. And it definitely doesn’t make sense to trek over to the post office every day. This is not the way to run a business. There’s only so many orders you can fulfill that way, which means this manual method of order fulfillment isn’t very scalable. It’s also much more stressful and turns your business into a burden. Once you hit more than 10 orders per day, you won’t want to manually ship each order. You may even reach your tipping point at just two or three orders per day. That’s where a postage service helps. Two popular options for shipping orders through USPS are Stamps.com and Endicia. But which one is right for you? stamps.com and Endicia.com allow you to send packages through any USPS shipping methods, and it’s a similar process with both software. After setting up your account with the postage service, you’ll connect it to your Amazon Seller account / eBay account / or E-commerce store. Before importing your orders, you first need to first set up the Amazon or marketplace integration. Most readers on this blog sell on Amazon, so here is how you integrate stamps.com with Amazon and here is how you integrate amazon with Endicia. When a customer places an order with you, all the necessary information is transmitted to your postage service account. You pack the customer’s order and weigh it with a digital postal scale that you connect to your computer. The weight of the package gets transmitted to your postage software. You can also manually enter weight info if you don’t have a USB shipping scale. You’re charged for the postage and can print a shipping label. Once you attach the shipping label to the package, you can give that package to your mail carrier, or schedule weekly pickups. The software also sends tracking information to your customers. The only work you need to do is pack orders, weigh them and attach shipping labels. It is by far the easier way to ship orders when comparing to manually shipping them or using something like PayPal multi-order shipping. Is Stamps.com cheaper than USPS? Stamps.com is a great shipping solution for eCommerce sellers. Whether you have your own online store or you sell on popular marketplaces like Amazon, eBay or Etsy, you need a shipping software to speed up your workflow. Stamps.com can save you tons of time with your shipping processes. If you find yourself shipping every day, you likely need a shipping software to speed up your workflows. If you are still going to the post office to ship your orders, and your orders are growing, you should change your mindset towards efficiency and growing your business. Stamps.com can be the solution you are looking for. It is one of the most popular shipping options, and for good reason, it works great! One cool feature with stamps.com is you can get a free shipping scale with signup! Endicia does not offer this - Granted, they are the cheapo scales you can get for $15-30 on ebay, it is a nice touch. 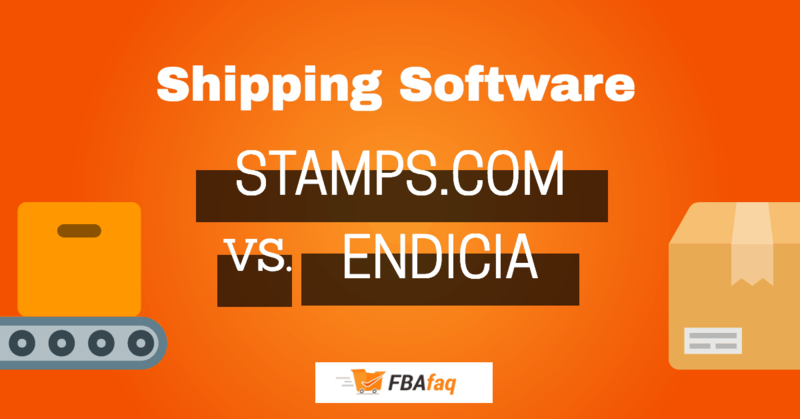 Endicia, just like stamps.com is a great shipping app for Amazon and e-commerce sellers alike. One strength that Endicia has always had was their mac integration. Endicia has a dedicated Mac app and they have always been focused on serving the community of users who use Macs. So if you are a Mac user, Endicia.com may have the advantage because of their dedicated software. However, if you are a windows user and you were looking forward to batch shipping, then you may be more interested in stamps.com because of the cheaper plans. If you want to use batch shipping with Endicia on a windows machine, for some weird reason, you need to upgrade to their professional plan at $34.95/mo. Overall though, Endicia is just as good a contender as stamps.com. When you first check out Stamps.com and Endicia, they’ll probably look very similar. You have the same USPS shipping options available, they both integrate seamlessly with your Amazon Seller account, you can put together shipments that look professional, and there’s live support available when you need it. Both postage services can also get you discounts on shipping charges. The monthly fee is essentially the same with both, as Stamps.com starts at $15.99 and Endicia starts at $15.95. You obviously pay for all your postage charges, and you’ll need to keep a valid credit card on file to do so. One perk with Stamps.com is that they’ll throw in a free digital postage scale when you sign up with them, and you’ll only need to pay shipping on it. That’s beneficial if you don’t already have a scale of your own to use. How much is Endicia.com per month? How much is Stamps.com per month? If you’re a Mac user, it’s important to note that only Endicia has a Mac version of its software available. The Stamps.com software is PC-only, meaning you’d need to use the website instead if you are on a Mac. However, their web version of the app has gotten much better over the years and seems to offer many of the same features, so you won’t be missing out much if you are on a Mac, using stamps.com. Both companies tend to be reliable and do their job well, although each online seller has their preferences. Some prefer Stamps.com, and others recommend Endicia. It really comes down to personal preference. Also, there are slight differences when it comes down to mac versus windows operating systems. For Mac users, I would say for Mac users, Endicia has a slight advantage. For Windows users, Stamps.com may be a little better. Mac Compatible	 No dedicated mac app, you login through your browser. There is a dedicated mac app with Endicia. Fortunately, you don’t need to make your decision blindly. Both offer four-week free trials where you only need to pay for the postage you use. This gives you a chance to test them and see which interface you prefer. While USPS is the usual shipping method when you’re selling on Amazon, there may be times when you need to ship through UPS, Fedex or DHL. If so, ShippingEasy is for those carriers what Stamps.com and Endicia are for USPS. The ShippingEasy Starter plan is perfect if you only have the occasional order to fulfill through carriers other than USPS, because the plan doesn’t cost anything and offers up to 50 monthly shipments. The next step up is the Basic plan, which costs $29 per month for up to 500 monthly shipments. With that plan, you also get a free Endicia membership. Shipstation is another option you may or may not have considered. Shipstation is great because it works perfectly on Mac & Windows, you can also ship through multiple eCommerce channels, do batch shipping, and ship through USPS, UPS, FedEx or DHL. To get a detailed overview and why I recommend ShipStation over stamps, check out my full ShipStation review. Shipstation also has a great user interface with a lot of customizations available for you shipping workflows. For example, you can put your logo on your shipping labels, you can customize different shipping options when you do your bulk shipments, and much more. Shipstation also comes with a free Endicia or Stamps.com account when you sign up! This is a nice feature, especially if you want a shipping software that excels in batch and multi-order shipping workflows. Tip: if you ship 50 or fewer packages per month, you can opt for a $9.99/mo Shipstation account and save money because you are essentially getting a free $16.00/mo plan to stamps.com or endicia. 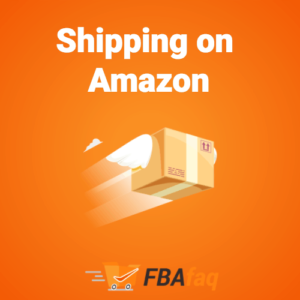 Another great feature for Amazon FBA sellers is you can fulfill Multi-Channel Amazon FBA orders through Shipstation. For example, say you have a product held in an Amazon warehouse and you sold the item on eBay. You could essentially have Amazon ship your order (through FBA) to your eBay customer (albeit a higher fee since it’s not through Amazon). 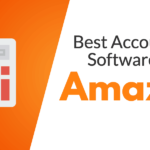 This is a more advanced feature, but one worth having for some Amazon sellers. I would say that Shipstation is overall better than Stamps.com and Endicia, especially for multi-channel fulfillment. For example, maybe you sell on eBay, Amazon, Etsy, and Woocommerce or Shopify. Shipstation works wonders for sellers who have multiple channels that they sell out of. Shipstation is also a little cheaper when you are below 50 orders a month. But as soon as you surpass that mark, it is more expensive than the stamps.com/ Endicia services by themselves. PayPal multi-order shipping isn’t bad for doing a few orders a day since it is completely free – all you need to pay is the postage. There is no monthly fee associated with PayPal multi-order shipping so this can be a great option for low volume sellers. But once you get past a few orders a day, I am telling you, it is absolutely worth going with a batch shipping software for $10-30/mo. At some point, you need to value your time very highly and think in terms of scaling versus saving a few dollars here and there. If you’ll only be using USPS, then your best bet is trying Stamps.com and Endicia. Considering they’re so similar, it really comes down to personal preference. If you need to ship out quite a few orders per month through other carriers, then you should go with Shipping Easy and use the free Endicia membership that comes with it. Or you can also go for Shipstation, which is a great solution. Here are a few circumstances why you may choose different shipping software. Again it all comes down to your needs and personal preference! Have you heard of https://www.pirateship.com/ to create USPS labels? I had been using PayPal multi order shipping up until recently when they removed the ability to create batches of labels. I went on a search for another free one and I came across Pirate Ship. It’s fantastic Has all the features one needs, it’s easy to use, and best of all, it is FREE!! Wow, impressive article. Thanks man. This makes so much more sense after looking into Stamps.com and other options. No problem Brenan, I’m glad it helped! We currently each use Endicia Dazzle but I cannot see the shipping information which is on her computer and she can’t see mine…. If I understand correctly, you are looking for something where you both can log in and see tracking info? I would say that Shipstation is best for this, as it is an online web app (not on your desktop) and it allows you to create multiple users. So you and your employee would be able to login to your account with different login credentials and you would both be able to lookup the tracking info at the same time. Shipstation allows you to add multiple users on one account. Also, in my experience, shipstation has the best user experience for searching old orders, managing orders, etc. So it might be exactly what you are looking for.